Calling all mod/punk fans! English musician, singer-songwriter and member of the legendary band The Jam, mister Paul Weller is headed to Los Angeles this Fall. He’s ready to wow old and new school fans alike with two must-see headlining shows. Grimy Goods is hooking you up with a chance to win tickets to either The Fonda Theatre on Wednesday, October 7th OR at Fox Theater Pomona on Friday, October 9th. Expect to hear old school classics and new hits from his latest solo album Saturns Pattern. Supporting act Villagers play fresh jams from their new album Darling Arithmetic and boss DJ sets from Marv Mack and Glory Boy Kev will keep the dance party going! Tickets to Paul Weller at The Fonda are priced at $42.50-57.50 and tickets to Paul Weller at The Fox Theater Pomona are price at $35-45. Doors open at 8:00 pm and the events are all ages at both venues. You can purchase tickets to The Fonda or The Fox Theater shows or try and win a pair of tickets with us by entering the contest below! First make sure you’re following Grimy Goods on Twitter here and/or “like” our Facebook page here. Next, email ggcontests@gmail.com with your full name for guest list and a clever reason why you want a pair of tickets to Paul Weller at The Fonda Theatre or Fox Theater Pomona. PLEASE BE SURE TO SPECIFY WHICH SHOW YOU’D LIKE TO ATTEND. When you’re done with your email, send us a Tweet so we know you entered the contest or you can post on our Facebook wall. We’ll select a winner that has done all of the above mentioned. Winners will be announced via email, Facebook and Twitter on Wednesday, September 30th. Winners will have until 10 am, Thursday, October 1st to reply back to our email and confirm their win. FACEBOOK: Just leave a comment on our wall letting us know you entered our contest for tickets to Paul Weller at the Fonda Theatre on Oct. 7 OR on Oct. 9 at Fox Theater! 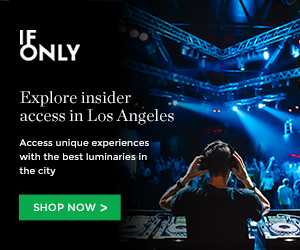 This entry was posted in Concerts & Events, Giveaways and tagged concerts, contest, DJ Marv Mack, Fonda Theatre, fox theater pomona, giveaway, Glory Boy Kev, paul weller, sweepstakes, ticket giveaway, tickets contests, Villagers, win on September 25, 2015 by Emily Saex.